Today, we want to share with you our experience of uninstalling Google Play Music Manager on a Mac. Like other programs, this app creates temporary files on your computer, so you need to remove all its useless service files in order to keep from cluttering your disk space. 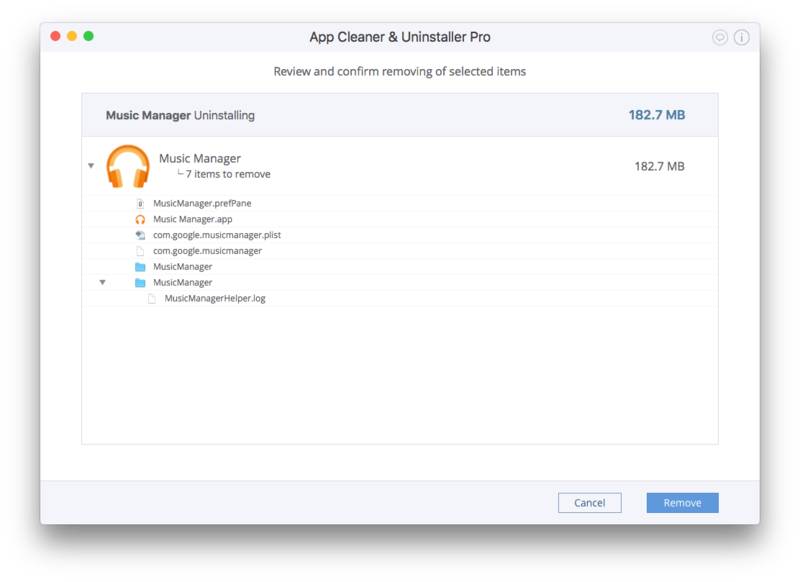 To learn how, read our guide on how to uninstall Google Music Manager on a Mac completely. Uninstall Google Music Manager manually. Uninstall Google Music Manager automatically. Quit Google Music Manager. Open the Applications folder → select Music Manager.app → drag and drop it to the Trash. As temporary service files are usually stored in the user’s hidden Library folder, you need to obtain access to it. For this, open Finder → in the menu bar click Go → Go to Folder → type ~/Library and click Go. The number of service files and directories depend on the user’s experience and the apps’ preferences. Moreover, some apps may scatter their service files throughout the disk. 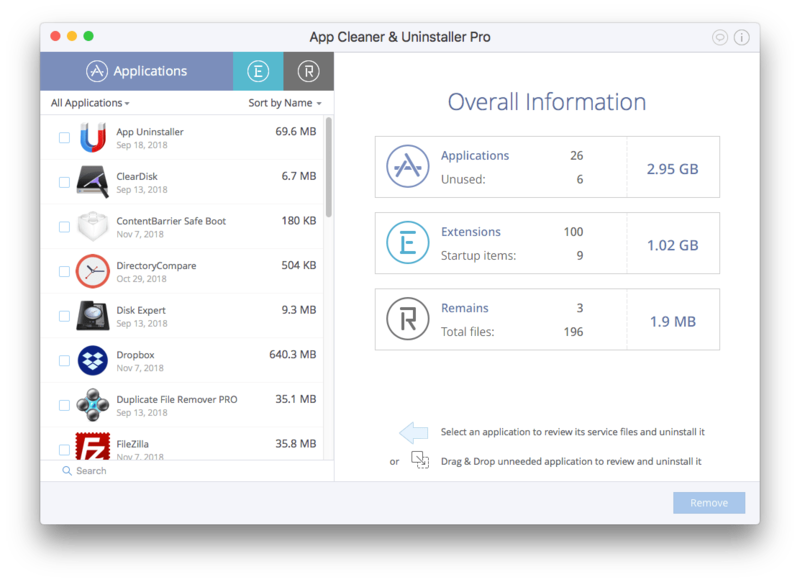 We recommend using a special tool, App CLeaner & Uninstaller, which automatically finds all files associated with each app. 4. The last step is emptying the Trash bin to complete the Music Manager uninstallation. Select Music Manager in the list of Applications and click Uninstall next to it. Overview the items you are going to delete and click Remove. Complete the deletion of Google Music Manager by emptying the Trash bin. As shown above, both methods allow you to remove Google Play Music Manager on a Mac. Using the first method, you should manually delete each file step-by-step. 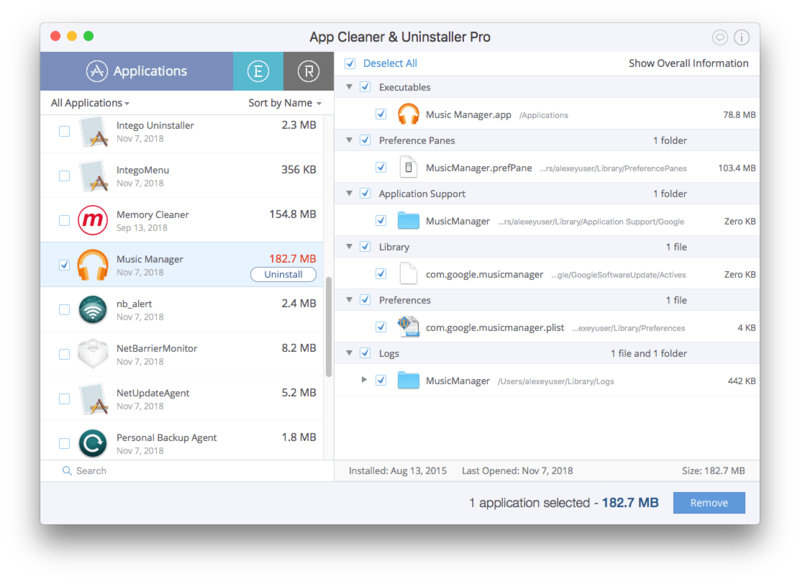 Using the second method, App Cleaner & Uninstaller removes Music Manager and all its files quickly, correctly, and automatically.